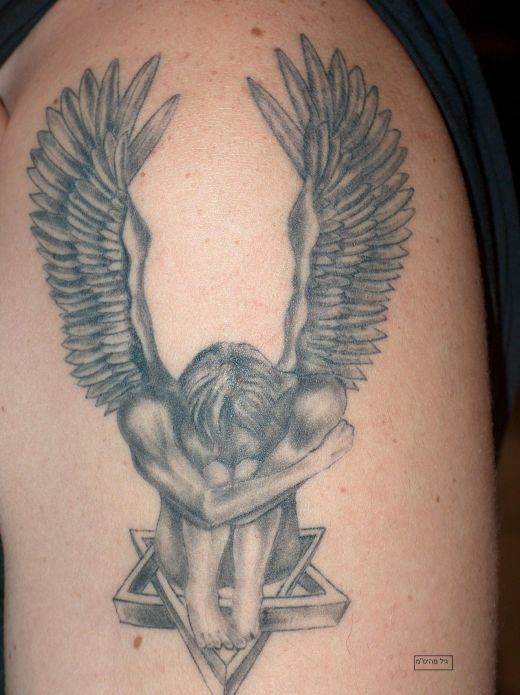 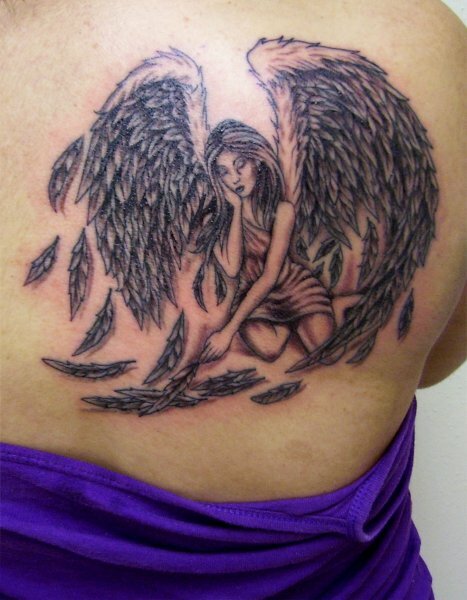 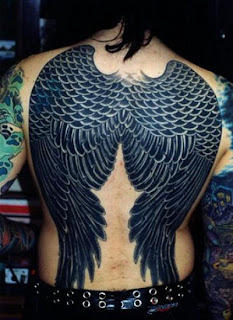 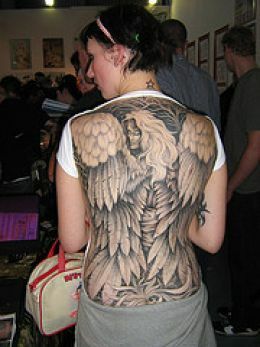 Women have many design options and different ways of wearing angel wing tattoos. 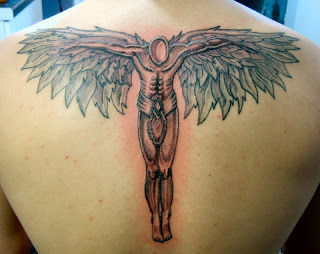 Wings can be displayed on halos, crosses, letters, hearts, and animals. 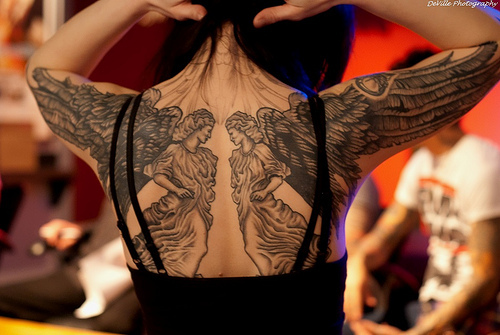 Lately, and growing in popularity are the angel wings placed on the shoulder blades stretched downward toward the lower back. Wings are easily a flexible and sizable enough design to be placed anywhere on a woman’s body. 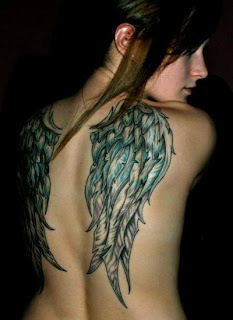 Angel wings can come in a verity to different colors. 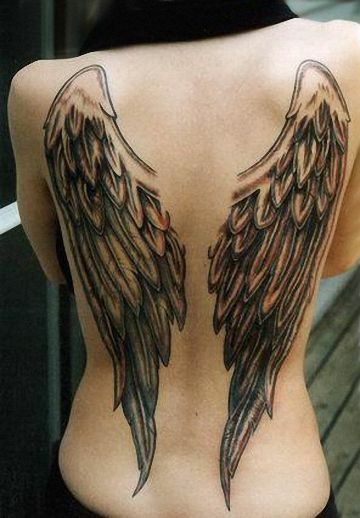 Most women prefer white wings to represent purity. 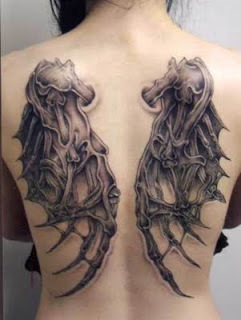 Beware the woman who chooses black wings, they are often considered troubling, and can emblematize a fallen or dark angel; these are usually popular with the goth or gothic crowd. Just remember to be mindful if you decide on a wing tattoo, as they are often said to be a reflection of your inner self.